Does not fit RHD cars. 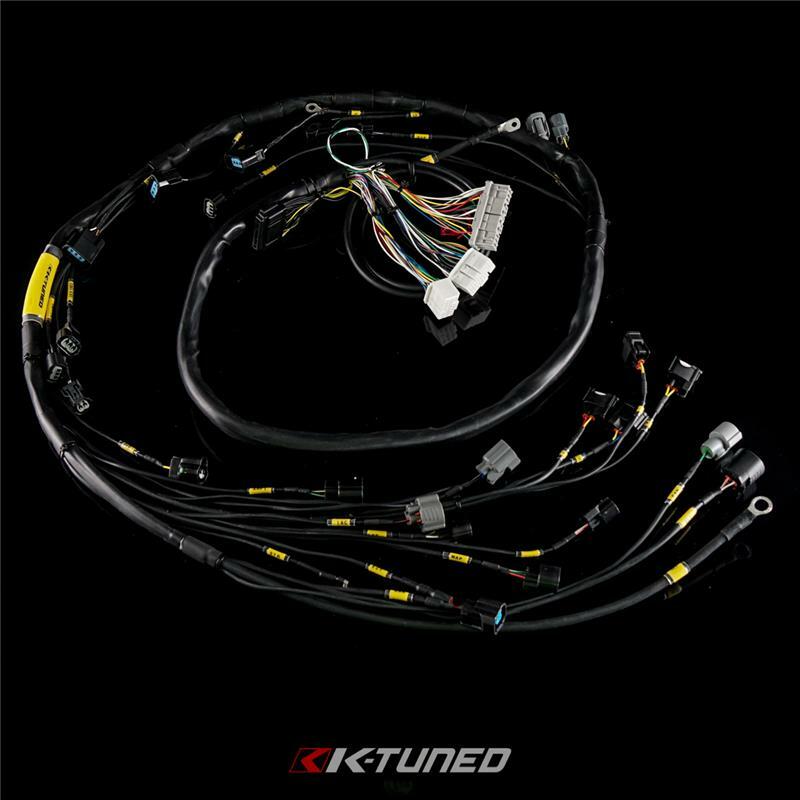 The K-Tuned Tucked Engine Harness is designed as a high quality replacement 02-04 RSX Type-S harness that offers a super clean look. 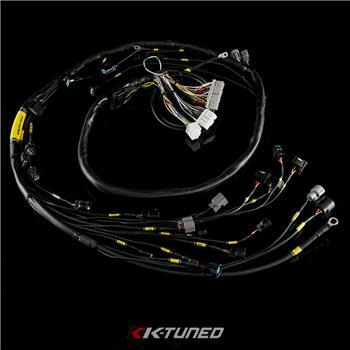 We have made the harness with lots of features so it will work with nearly all K-Series engine swaps and the 02-04 RSX Type S. It includes all the necessary plugs with a handful of extras (Fan Switch, IACV, Temp Sensor, ETC). We used only SAE certified automotive grade wiring resistant to moisture and most solvents to ensure quality and durability. High quality military grade heat shrink loom is used to cover entire harness which is resistant to gas and diesel. It is rated for -55° C to 150° C (-67° F to 320° F). We have also used a popular and clean tucked wire layout. The main harness runs over the valve cover and even hides the injector plugs, which come up from under the manifold. RDX injector plugs come with all harnesses. The pins on RDX injector plugs can be fitted into the oem RSX Type S 310cc plugs which makes switching quick and simple. We have incorporated the charge harness and alternator power wire into the harness. We used a thin, but high grade power wire to help keep the overall size down. On swap chassis, the power wire will work with fuse box in factory location or relocated under the dash. Separate power wire is available for other chassis and those that prefer to run their own charge wiring. Everything is labeled clearly to ensure a simple installation and no confusion. Integrated power wire and charge harness. Works with fuse box in stock location or relocated under dash. Injector wiring runs from under manifold between middle runners. 3 Aux wires run from ECU to under intake manifold. Two ECU pins pre-installed. Extra knock sensor plug included. Each harness is inspected and tested before shipping.